Leh is the most common entry point to India's far northern region of Ladakh. 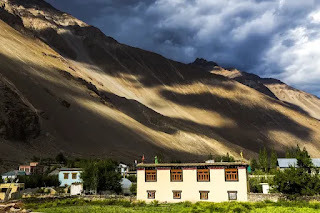 This remote place has become a popular tourist destination since Ladakh was opened to foreigners in 1974. It offers two of the world’s largest mountain ranges, alpine desert, and dry barren landscape full of historic Buddhist monasteries. Nature and adventure lovers will find excellent hiking and trekking opportunities around Leh. 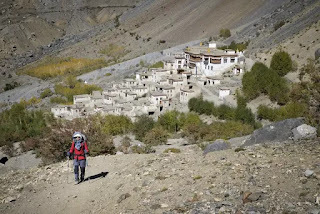 There are also many longer trekking trails to choose from, as well as white water rafting and travel on Khardung La, the world's highest motorable road. It's also possible to ride Bactrian camels in the Nubra Valley. The spellbinding Spiti Valley, located in remote Himachal Pradesh, is often proclaimed by those who see it to be world within a world. With an average height of around 12,500 feet above sea level, it consists of stark high-altitude alpine land. 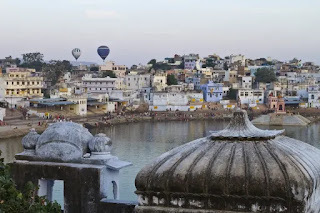 This is scattered with small villages and monasteries, and enclosed by soaring peaks crowned with snow. 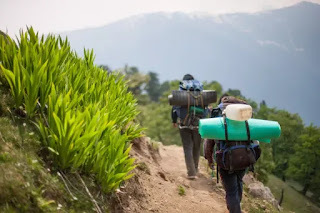 Possible adventure activities include trekking, yak safaris from village to village, tracking wildlife, mountain biking, and white water rafting. An untouched paradise for those who really love to get off the beaten track, India's remote northeast region is an adventure lover's delight! There are tribes to visit, wildlife to spot, peaks to climb, caving, trekking, butterflies, living root bridges and jungles. 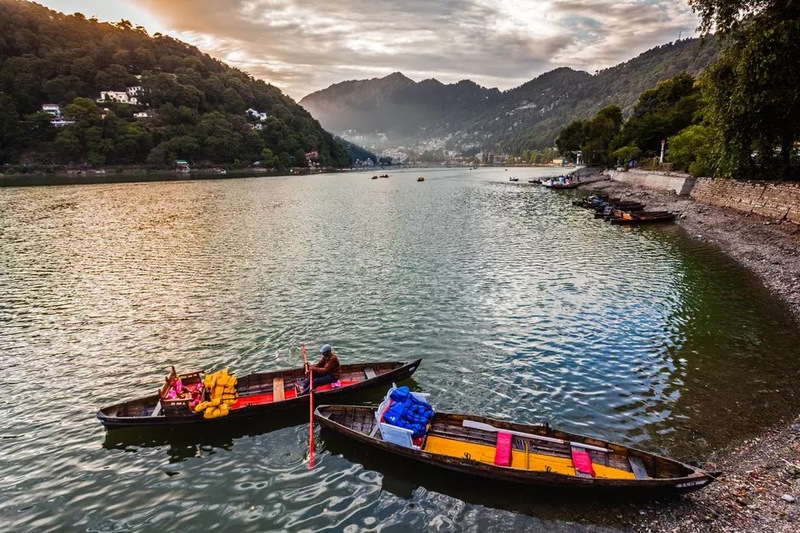 Manali, with its soothing backdrop of the Himalayas, offers a blend of tranquility and adventure that makes it one of northern India's most popular tourist destinations. You can do as little or as much as you want there. It’s a magical place bordered by cool pine forest and the raging Beas River, which give it a special energy. Anyone looking for thrilling adventure sports will love Manali. Fishing, white water rafting, skiing, mountaineering, hiking, and paragliding are all on offer in or around Manali. You’ll find many companies there that organize and run adventure tours. Uttarakhand, bordered by Nepal and Tibet, and shadowed by towering Himalayan peaks, is full of unspoiled natural beauty. Ancient holy places, forests and valleys, and an abundance of trekking options are some of the attractions that draw adventurers. The Valley of Flowers is a popular seasonal trek.This high-altitude Himalayan valley has around 300 different varieties of alpine flowers, which appear as a bright carpet of color against a mountainous snow capped background. For a pristine mountain trek in Uttarakhand, head off the beaten path at Kalap. If you'd prefer less strenuous activities, head to the hill station of Nainital, where you can go boating on Naini Lake, take nature walks, and go horse riding and rock climbing. White water rafting and stand up paddle boarding are possible at Rishikesh. 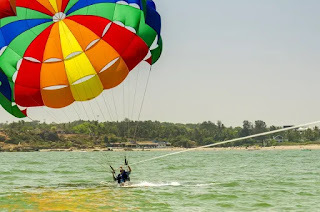 Goa is the best alternative to the mountains for anyone looking for adventure and adrenaline in India. There are almost 100 operators to offer you just about every type of adventure activity imaginable, including water sports, go-karting, scuba diving and snorkeling, hiking, fishing, and dolphin sightseeing trips. The Goa Hiking Association organizes a major trekking program in October each year. The Goa Branch of the Youth Hostel Association of India also runs 9 day National Trekking Expeditions in Goa every December. Fancy experiencing India on camel back or in a hot air balloon? Both are possible in the desert state of Rajasthan. Excellent desert camel safaris are offered in and around Jaisalmer and Bikaner. 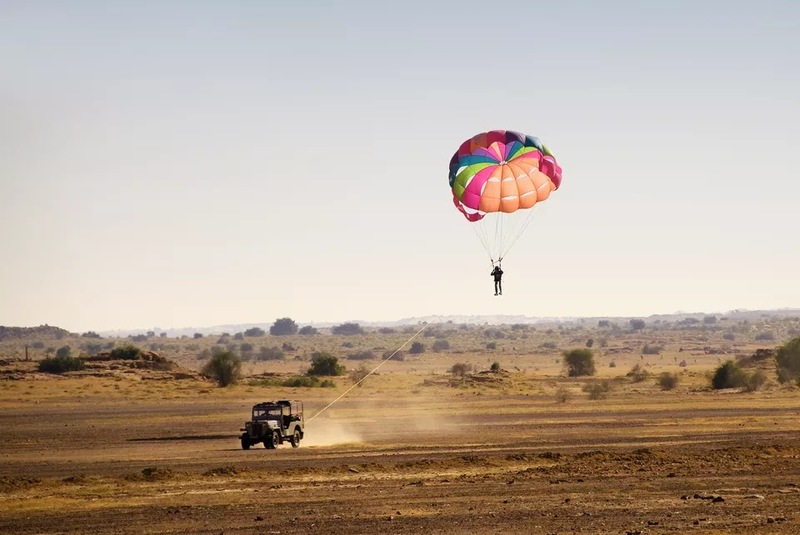 Alternatively, it's possible to go hot air ballooning in India around Jaipur, Pushkar, and Ranthambore National Park And don't think you need water to go parasailing! Jeep-pulled parasailing now takes place in the Thar desert around Jaisalmer.